We all love our dogs. We nourish and feed them and in return they give us companionship and love. We make sure they get the best food and take them for veterinary visits on a regular basis, but is your dog getting enough exercise? Sometimes this is the one thing that a lot of pet owners overlook. Exercise is as essential for dogs as it is for humans. Getting your pooch to exercise for at least thirty to forty minutes at least three times per week will keep joints, bones, and his brain functioning at their peak. Dogs that get enough exercise will be more even-keeled and generally happier. In case you were wondering, taking your dog out for a potty-walk does not count as exercise. Here are some easy ways to make sure your dog gets enough exercise. Remember that the activity must be aerobic. Get a tennis ball, a Frisbee, a chew toy or a stick and play a few games of fetch in your local park. If you have a pool, live near a lake or the beach take your dog swimming. Swimming is terrific for toning all major muscle groups. Take your dog with you on your daily morning jog. Take your dog bicycling. There are products available which allow you to attach a leash to the back of your bicycle. That way you will not have to worry about holding a leash with one hand. This way you can keep both hands on the handlebars. When your dog receives the right amount of exercise, chances are that it will live a longer, healthier and happier life. However, another these benefits will not only enhance your dog’s life but yours as well. Pet owners cannot assume all household products are safe for use. Not only are many common cleaners toxic to humans, they are actually more harmful to our pets. Factors like curiosity, higher metabolism and closer proximity contribute to higher exposure for animals. Here is a list of household products and their chemical ingredients to watch out for. Flea Control and Pet Shampoo Products – Any flea repellent product containing the chemical d’Limonene can be considered harmful to cats, as well as Tea Tree and Pennyroyal essential oils. Many pet shampoos can be found to contain the chemical formaldehyde. Outdoor Products – Products often used for fertilizing lawns containing 2,4-D herbicide should be avoided as well as the chemical metaldehyde, which is used in many herbicide and insecticide products. De-icing salts containing sodium chloride should also be avoided. Household cleaners – Many oven, glass and stainless steel cleaners contain ammonia. You can find chlorine in most disinfectants, bathroom cleaners and dishwashing detergents, even laundry detergents. Glycol ethers, also toxic to animals, can be found in glass cleaners, carpet cleaners and spot removal products. Formaldehyde is also used in soaps and cleaners. Using floor cleaning products such as Pine Sol creates toxic exposure from lasting vapors. Home Furnishings – The chemical formaldehyde can be found throughout the home in some construction materials, laminate flooring, wood paneling and any item made of particleboard, plywood or medium density fiberboard. It can also be found in new fabrics, such as clothing and bedding. Drain Openers – Although the products is not used on any open surface in the home, the toxic emissions left over after use can be harmful to your pet. Mothballs – Mothball fumes are toxic to animals and ingestion causes poisoning. The chemicals to look out for are naphthalene or paradichlorobenzene. The best way to avoid exposing your pet to these chemicals is to use non-toxic alternatives. Always make sure any products mentioned are safely stored. Avoid using products when you animal is in the area and always make sure to ventilate your home post-use. Just like humans, pets can succumb to depression too. It’s imperative that depression in animals be treated as quickly as possible to ensure the condition does not worsen. Fortunately, there are several tips and tricks you can follow to help your animal stay happy. If you don’t notice any improvement in a depressed pet, it’s highly advised that you visit a professional veterinarian. If your pet is an inside pet, make sure to take him or her outside for a bit each day. From running around the yard to going for walks in the woods, pets love seeing the outdoors. Just make sure to use some type of leash to ensure your furry friend doesn’t run away and never come back. When humans don’t eat right, this can lead to depression. The same applies to animals. Make sure you’re providing your pets with wholesome meals on a daily basis. Did you know pets can actually improve depression in their owners? They tend to offer unconditional love, and when the two of you form a bond with one another –playing together, sleeping together, running errands together– the two of you will both improve symptoms of depression. Another way animal depression is similar to human depression is that it can be treated with medication. You’ll need to visit a licensed vet to ensure you’re getting the right type of medicine. Always follow your vet’s directions exactly as they are outlined. When adopting a pet, it does not matter if you purchase her from the local pet store or save him from the local humane society, once a pet enters your home they are quickly going to become part of your family. When welcoming a new animal to your home, they are going to be more than just there to greet you when you enter the door or bark at individuals who pass by the house. If you have never adopted a pet before, you probably have not truly experienced all of the benefits of owning a pet. Whether you are new to the area or you are just looking for new friends, there really is nothing better than having a pet with you. Dogs are perfect for interacting with individuals, as there are probably cafes and restaurants near your home that allow you to eat and sit with your four-leged friend. There are even pet social media websites that allow you to communicate and meet others who have pets and share your same interests. It is a proven fact that individuals with a pet are going to weight less than those who do not have a pet. Whether it is chasing a cat around the house or taking your dog for a walk, owning a pet is an excellent exercise option. There are all sorts of different activities you can do with your pet, including jogging, hiking or even yoga (yes, there is yoga classes for dogs). Pets know when you are feeling down. Whether it is a sixth sense or they can read your emotions, they are always there to lend you a shoulder to cry on or just a buddy to snuggle with. There is a reason there are pets used in therapy sessions around the world. Animals discover information about their environment by smelling and tasting first, and then using their vision and hearing as back-up “detectors”. Dogs are no exception to this instinctual behavior and often suffer consequences from simply wanting more information about the world around them. Pesticides–sweet-smelling pesticides meant to attract mice, rats and other pests also attract other mammals like dogs and cats. 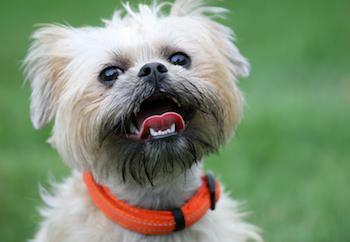 In addition, your dog’s flea and tick collar may make him ill if it falls off and he decides to chew on it. Antifreeze–the ethylene glycol in antifreeze that prevents your car’s radiator system from freezing in the winter is sweet-tasting but toxic to your dog. Don’t leave antifreeze jugs uncovered in your garage and always fix broken radiators so that your dog doesn’t lick antifreeze leaks laying on your driveway. Other consumables potentially toxic to dogs: chocolate, onions, garlic, xylitol (found in toothpaste), grapes, raisins and avocados. The ASPCA Animal Poison Control Center urges dog owners to take unconscious or seizing dog to an emergency veterinary clinic as soon as possible. If you suspect your dog has ingested a toxic substance but the dog is not in distress, you can call the ASPCA at 888-426-4435 for professional advice about what to do or your local veterinarian. Most people use a variety of cleaning supplies throughout the home, never realizing the potential hazards these products pose to their furry friends. A startling number of common household cleaning products contain chemicals that are harmful to pets. Here is a look at some of the most dangerous chemicals, as well as the surprising places you will find them. Pine oil is common in all-purpose cleaners such as Pine Sol. The oil is actually the distilled resin of pine trees. Pine oil is dangerous to dogs, cats and birds. Early symptoms of pine oil poisoning include irritation inside the mouth, drooling and vomiting. It can also cause an upset stomach and a fever. Severe cases of pine oil poisoning can damage the central nervous system and kidneys. Pine oil can also cause lung damage if your pet inhales it. This chemical is widely recognized as poisonous, leading many pet owners to assume that it doesn’t have many household uses. However, formaldehyde can be found in a variety of products. It is common in laundry detergent, dish soap, furniture polish, body wash and hand soap. Shockingly, it can even be found in Nature’s Miracle and Zodiac pet shampoos. When inhaled, formaldehyde causes asthma in pets, and it is also a known carcinogen in humans and animals. Glycol ethers are found in carpet cleaners, spot removers and glass cleaners. 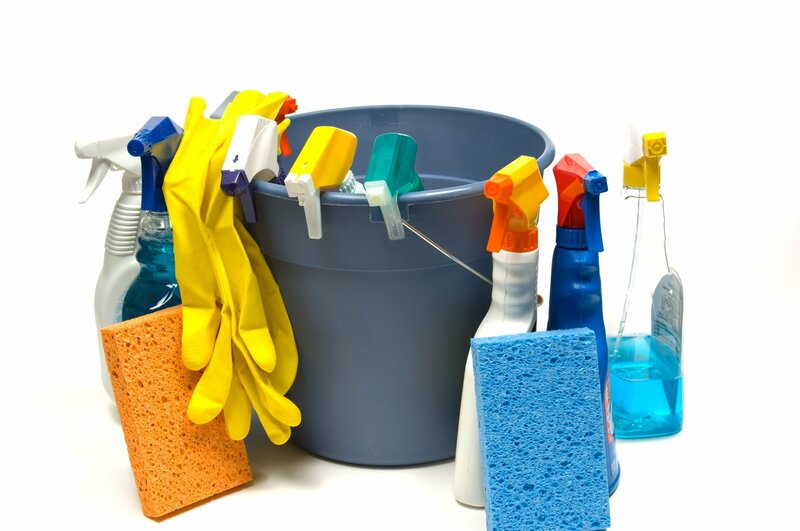 This chemical can be difficult to spot in cleaning products. Check the labels for “glycol.” Some of the most common glycol ethers are ethylene glycol, propylene glycol and diethylene glycol. This substance can cause anemia, kidney damage and lung damage in dogs and cats. Most pet owners are aware that ammonia is a dangerous substance. However, they might not realize how common it is among cleaning products. Ammonia is often found in oven cleaners, degreasers, glass cleaners and stainless steel polish. It can cause irritation or burns to mucous membranes, and your pets can develop asthma after inhaling the fumes. Summertime is coming quickly and even pets can succumb to the heat. That is why it is ever so important to be mindful and vigilant of them, too. Like children, they can easily become overwhelmed by the scorching heat, especially pets that live further south where the heat is beyond hot. But, regardless of how hot it is, Summer is the time to make sure pets are not left in vehicles and that they are properly hydrated. They may get sick or even die if they are not. Keep in mind that outdoor pets are especially at risk. Some will not even drink water that becomes warm due to sunshine or heat. So besides keeping an eye on the water bowl, try to utilize other methods for keeping your pet hydrated. For example, switching to wet pet food instead of dry food helps to combat dehydration. Using ice cubes as a treat also keep the pet both cool and hydrated. Additional things that can be done include providing as much shade as possible for your pet and limiting the amount of exercise an animal gets during the hottest hours of the day. Animals, like people, can get heat stroke if they become too hot and dehydrated. Watch your animal’s behavior closely to prevent this from happening. And remember, of course, the best way to prevent it is to keep your pet as cool as possible and as well watered as possible. Unless you’re an owner of a female cat or dog and are planning to breed the animal, discovering it in heat can be daunting. You probably want some quick answers on how to deal with heat cycles. Step one is making sure the animal is really in heat. Female cats go into heat around at six months and continue several times a year. Heat lasts 7 to 10 days. They’re noticeably more affectionate than usual, often assume a position with rear end in the air and head down, become extremely vocal and might spray urine. Some lick themselves a lot and have a decreased appetite. Female dogs experience swollen vulvas about a week before bleeding. They could start to hump other adult females, pups or human legs. Many perform lots of self-licking. Fertility begins about 12 days later. Your veterinarian can confirm whether the animal is in heat—or pregnant. The best way to prevent the odd behavior and messiness associated with a heat cycles is to spay your cat or dog. You should keep animals that haven’t been spayed inside and away from males while in heat. This means shutting windows and making sure gates and doors are closed. Never leave these females unattended outdoors. Don’t allow your dog to breed until its third season of heat, or age 1 1/2 to 2. Activities like brushing calm dogs in heat. It’s important to keep them clean during bleeding, typically with sanitary pads, and to wash bedding covers often. Never take a pregnant cat to be spayed. Those that don’t become pregnant will most likely go into heat again in about 3 weeks. Your vet can recommend hormone supplements to calm frantic behavior associated with heat. 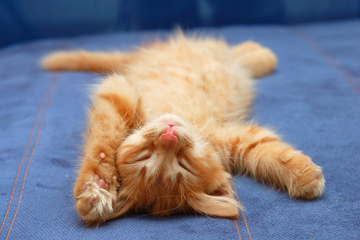 Catnip is also calming, but has been known to agitate some felines. Is it safe to kiss pets? For pet owners, there is often a close connection with the pets they own, so often times, this leads to a playful kiss. Whether this is a kiss on the forehead of the cat or right, smack on the mouth of the dog, most pet owners have some way of showing their affection towards their pet. Often, this comes with a big, messy, lick in return. However, while this is an adorable sign of affection, it might not be the best thing to do, as these kisses can potentially cause health problems in the owners. Often times, when kissing a pet, there are microscopic bacteria that is transferred between the pet and the owner. In a 2011 study out of Japan, researches found that bacteria found on the gums of a dog is likely to also be found on the gums of the owner, if they partake in these kisses. The particular form of bacteria the researchers found, has a direct link to gum disease, which can also eventually lead to other physical conditions, including heart disease, diabetes and kidney failure. While this isn’t stating kissing a dog is going to lead to diabetes, a connection is possible. Also, the breed of the animal can greatly affect the kind of kisses a pet owner receives in turn. Some dogs are scavengers by nature, so they are often going to chew on just about anything while outside, which can include feces and other animal deposits. It is possible these feces can contain hookworm, tapeworm or other issues, which can be directly transferred over to the human, if the two share kisses. New research is finding that Chiari malformation is on the rise among toy dog breeds. Some of the most commonly affected breeds include those who are specifically bred to have doll-like or apple shaped heads, such as Chihuahuas, Griffons Bruxellois and even Cavalier King Charles Spaniels. A study from the University of Surrey has uncovered some of the problems that Chiari malformation causes among these breeds. In humans, Chiari malformation occurs when seams in the bones of the skull fuse too quickly in young patients. This causes pressure that pushes parts of the brain through the base of the skull. While many toy dogs with Chiari malformation show no symptoms, others can have severe problems. The increased pressure can cause headaches and push spinal fluid into pockets along the spinal cord. In serious cases, affected dogs can have poor motor function or even paralysis. Experts say that the soaring number of Chiari malformation among toy breeds is the result of selective breeding. Scientists measured the skull and spine of 155 Griffons. As they compared the measurements, it became clear that dogs and puppies with exceptionally tall foreheads were at much higher risk for this condition. By purchasing puppies from reputable breeders with responsible breeding programs and veterinary supervised health programs, future pet owners can help to reduce the number of dogs with Chiari malformation. Dr. Clare Rusbridge from the University of Surrey warns that breeding dogs for specific traits isn’t always beneficial to the breed. Meanwhile, researchers from the University of Surrey have teamed up with geneticists from the University of Montreal. With as many as one in 1280 humans affected by this disease, the hope is that they can find better ways to treat this condition in both humans and dogs.